Germany’s new security white paper is a big step for a country still largely averse to strategic thinking. Reception bodes well for the future process of shaping policy, argue two members of the White Paper Project Group. The media have presented a variety of perspectives on the federal government’s new white paper on security policy. Much of the attention so far has been directed at topics that reveal actual or alleged differences between the ministries, such as the future role of the Federal Security Council, domestic deployment of the military, the significance of ad-hoc coalitions, and whether in the future EU defense ministers should meet in their own council configuration. These were the catchphrases that many commentators used when writing about what they considered to be marked differences. To be sure, not everyone was in perfect agreement at all times; there were differing opinions within the administration, and it should not come as a surprise that reporters in the capital knew about these different positions given their extensive networks in the political sphere. Nor is it any surprise that an alleged “coalition scuffle” was easier to sell than news about the ministries working sincerely and cordially with one another. But is that really the whole story? 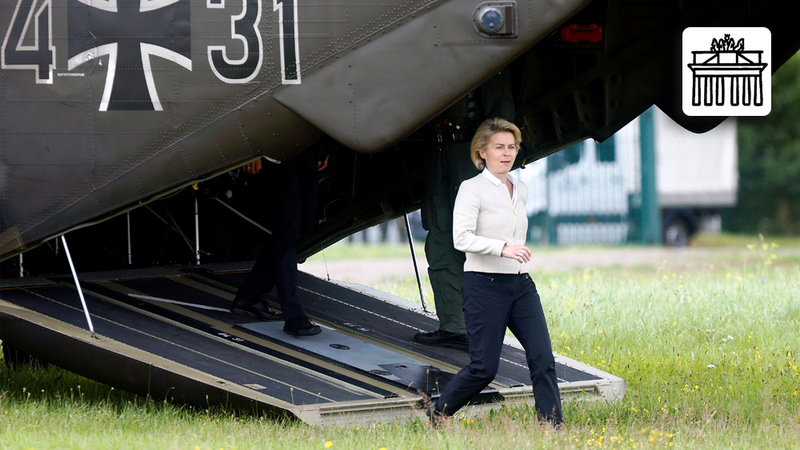 Is a lack of consensus on specific details the most important takeaway to report on the new White Paper on German Security Policy and the Future of the Bundeswehr? We don’t think so. Or to be more precise, we don’t think it should be. If you’re too focused on certain single aspects, you lose sight of the big picture. And if the new white paper is to have real efficacy as “the principal guideline for the security policy decisions and measures of our country,” a holistic approach is imperative when reading the document. 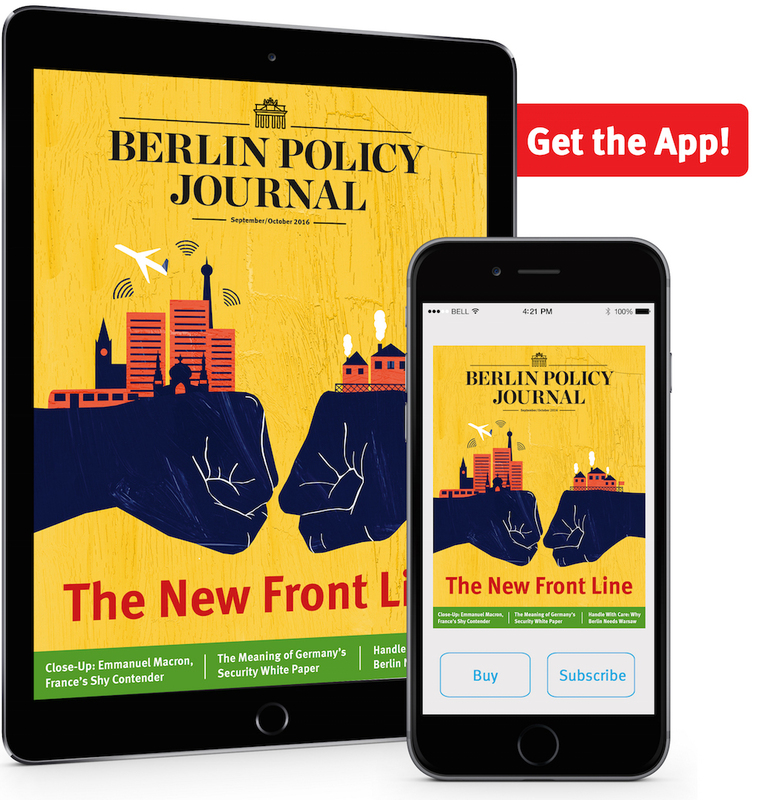 This requires bearing in mind the causal interrelationships between individual chapters as well as the numerous and far-reaching proposals for further developing German security policy still to be implemented. In short: The white paper is more than the sum of its parts. What are the key characteristics of the new white paper? In what aspects does it differ from its predecessors? What aspects have been developed further? And how significant a role does it play in the current debate on German domestic and security policy? Let us begin with the last question. The white paper is impossible to understand without the context of the Munich Consensus and the principle of “leading from the center.” At the 50th Munich Security Conference in 2014, Germany’s president, foreign minister, and defense minister declared Germany’s willingness to take on greater international responsibility. 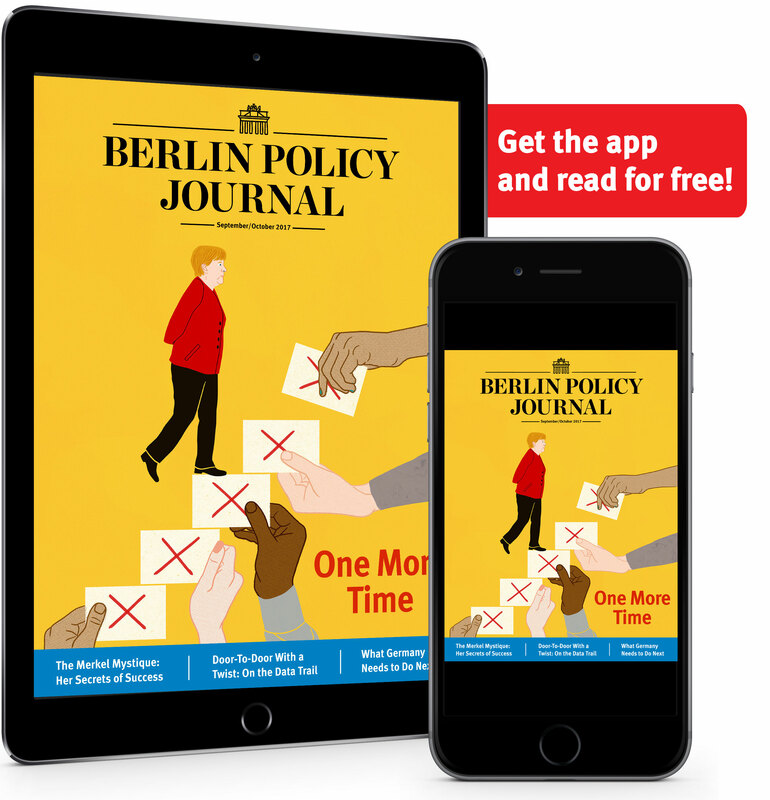 This “Munich Consensus” represents a change in Germany’s understanding of itself and its role, and it indeed marks a “critical turning point,” to paraphrase political science professor Gunther Hellmann. At the same conference one year later, Defense Minister Ursula von der Leyen announced that Germany was ready to lead in tandem with partners and contribute the best resources and skills to alliances and partnerships. In 2016 the white paper was released to provide a strategic rationale for Germany’s willingness to play a more active, substantive, and responsible role in international security policy, identifying areas where both German security policy as a whole and the Bundeswehr as one of its instruments will have to evolve further. This means the white paper is neither a starting point nor an end point, but more of a marker or milestone on the path establishing Germany’s growing international responsibility, recognizing the duties this role requires, and further developing the corresponding toolbox. The upcoming implementation phase will be critically important to the white paper’s success. As Duke University professor Hal Brands said in his comparative analysis of developments in US strategy since 1945, “conception is only half the battle” – and here the white paper is no exception. After all, as Volker Perthes of Germany’s Institute for International and Security Affairs (SWP) correctly noted, the white paper is not a planning document. Instead, it is a document that articulates and justifies Germany’s willingness as well as its capability to play an ever more substantive role. Bringing these capabilities to bear – that is where the planning stage comes into play. Whether the white paper will have its intended effect is therefore largely dependent on how vigorously its priorities are pursued and its measures implemented in the various national and international areas of engagement. Let us return to the points on which there were diverging opinions between the ministries involved. Depending on the granularity of the analysis, the white paper includes 100 to 200 individual topics. Having four aspects that merit clarification in the federal government can hardly be taken as proof of allegedly deep fissures within the administration. On the contrary, this is more an illustration of just how solid the foundation of an ever more active and responsible German security policy is at present. This broad consensus was indeed one of the defining characteristics of the entire white paper process. Consensus about the broad strokes, not the lack of agreement on specific details, is what has characterized the inter-ministerial collaboration over the past one and a half years. This fundamental consensus is a great opportunity for the post-white paper era, because it represents a promising starting point for shaping policy in a sustainable, comprehensive way – nationally and internationally, in the Ministry of Defense and in the Bundeswehr, as well as in all other ministries and agencies. At the same time, it is of considerable importance to continue the debate over security policy. Integrating security policy experts and interested members of the public in this is not part of an “educational campaign” (as Hellmann put it), but follows from acknowledging that there are limits to our own understanding. As extensive as the communication surrounding the new white paper has been – comprising more than 6,500 participants in different formats – it would be a significant mistake to assume that this approach could be enough to sway the opinion of the majority of people in our country in one direction or another. Instead, special emphasis has been put on lowering the threshold for engagement in the security policy discourse in order to further this discussion, bring in additional perspectives, and gain new momentum and suggestions. At a time when the international order is undergoing profound change and Germany is simultaneously prepared to commit itself to preserving the international order, there has never been a greater need for new ideas. Although it is tempting to maximize freedom of action by having no explicit strategy, the costs of such an approach considerably outweigh the benefits. Without strategy one sacrifices a considerable amount of capacity to exert international influence and safeguard interests. At the same time, however, our strategic approach has to reflect the characteristics of the current and future security environment. 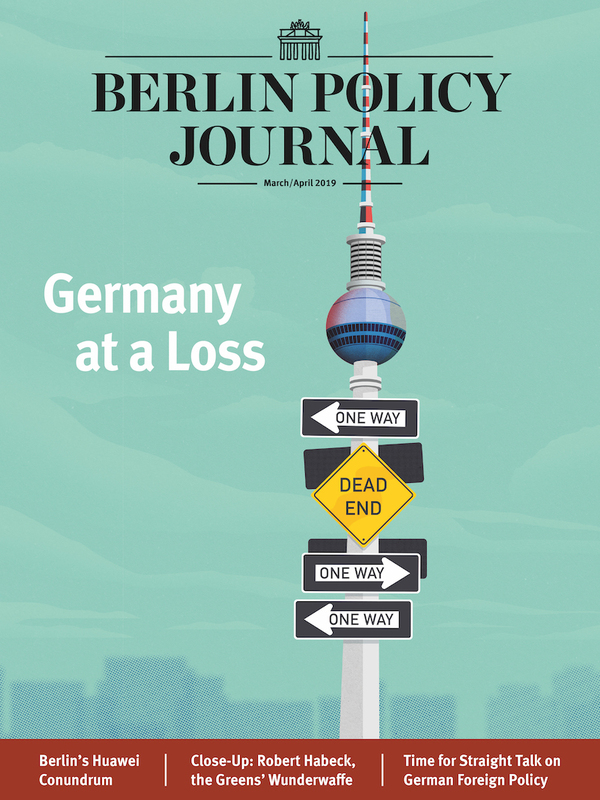 Germany operates in a complex, volatile and dynamic world – and these traits are here to stay for the foreseeable future. It is one of the key tasks of coherent strategies that they help to reduce complexity, thereby increasing the capacity for reasonable decision-making. At the moment, there is a considerable and ever-increasing amount of uncertainty in the security environment that limits our ability to anticipate future events. Under these circumstances, it is in Germany’s interest to invest in strategic flexibility instead of opting for narrowly defined priorities. It is one of the hallmarks of the 2016 white paper that the prescribed degree of flexibility is derived from strategic analysis and not announced simply by political acclaim. Let’s take a closer look at the structure of the new white paper to find out how this was done. First of all, the white paper opted to identify the key characteristics of Germany’s identity, its values, and its interests as an actor in international security affairs instead of starting with an analysis of our security environment. The centerpiece of this strategic narrative is Germany’s willingness to assume greater international responsibility, employing its considerable resources to uphold the international order and safeguard its interests. It would be unwise, however, not to appreciate the limits of Germany’s power or to ignore our own vulnerabilities. Accordingly, these three variables – Germany’s willingness to actively and responsibly engage in matters of international security, along with an account of the limits of its own influence to shape events and an appreciation of its own vulnerabilities – form the backbone of the introductory part of the new white paper. True to the idea that defining one’s identity is a crucial enabler for recognizing those developments that are relevant to our security and hence require our commitment, the analysis of the international security environment follows as the second element. This approach helps to reduce complexity further. Having defined both our values and interests and those challenges that either have the potential to put our security at risk or already are doing so means that there is a sound basis for formulating strategic priorities as cornerstones for Germany’s international engagement in the years ahead. Some would certainly argue against giving equal status to all strategic priorities; pointing out that by refusing to establish a hierarchy among them one dodges a crucial decision. Yet taking a closer look, there are two noteworthy things here: First, although the priorities laid out in the white paper are far-reaching, they are still limited in both scope and content. Choices have indeed been made. Reducing further either the number or the reach of these priorities would not be a sound decision in light of the global reach of Germany’s security policy and the complexities of our security environment. Setting the bar as high as possible – and developing our capabilities further to meet these goals – is only a pragmatic response to the prevailing conditions. The key areas of engagement at both the national and international level can be seen as a security policy “coupling” that offers all of the ministries options for further spelling out German security policy in subsequent strategies in their respective area of responsibility. The white paper’s first part, therefore, is more than just an introduction to an operating manual for the Bundeswehr. Instead it is a commitment to a whole-of-government approach to security that could hardly have been spelled out more clearly. That it was enacted by the cabinet – not just acknowledged – only underscores this fact. Those who see nothing more than the “usual hazy, diplomatic prose of politics” (in the words of German journalist Christian Thiels) obviously look at strategic documents through different eyes. This kind of document is not concerned with the details of acute crisis management or organizational charts. It is about the broad strokes and about developing ideas of how to advance Germany’s interests. In this way, plausible strategies help us reach decisions, not forestall them. They are milestones, not end points. NB. The views expressed in this article are the authors’ own and do not necessarily reflect the official policy or position of the German Ministry of Defense or the German government. is a brigadier general in the German army. He was, until August 2016, director of the White Paper Project Group in the Ministry of Defense. was, until August 2016, a senior analyst with the White Paper Project Group in the German Ministry of Defense.